Heading out on a road trip soon? This Road Trip BINGO Printable Game is the perfect way to get ready! 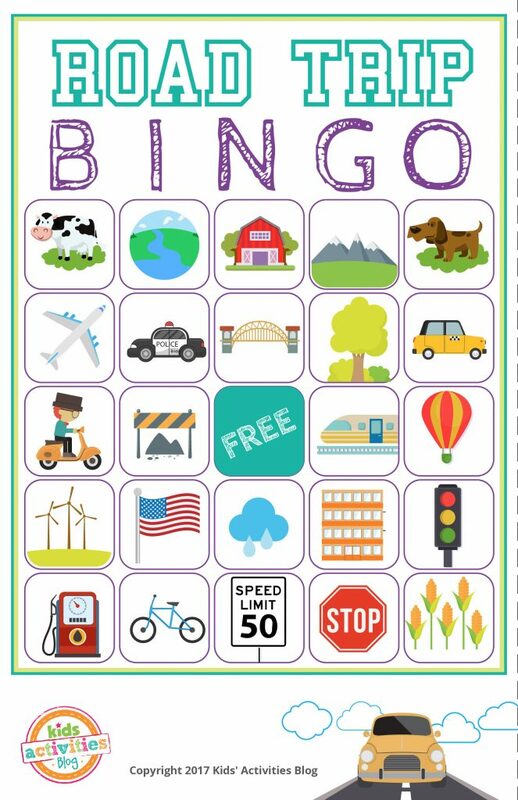 Gather the family and break out the BINGO chips, because this printable Road Trip BINGO game is filled with traveling fun! Designed for up to six players, the colorful cards feature common things that you’d see on a road trip. Print the cards out on cardstock and laminate them for extra durability and BINGO playing fun. After they’re laminated, kids could also use the game while in the car by marking off the spots of the things they see along the way with a dry erase marker. Store the cards together in a zip top bag for BINGO playing fun all vacation long! Click here to get your printable game! Be sure to check out The Printables Library at Kids Activities for hundreds of more great printables!